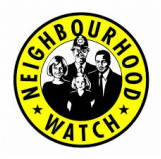 Please ring 0116 2222222 or 101 or Crimestoppers 0800 555 111 to report suspicious behaviour or crimes. Are you fed up with people speeding through our village? Here's a chance to set up our own "Speed Watch" scheme and take the initiative to slow traffic down throughout the village.